This week the DFPP team and their friends Adam and Andrew take a trip to the circus to drink some purple lemonade and end up being held hostage by a gun toting chimpanzee that steals concessions and rides a horse in the 1960 family film Toby Tyler. 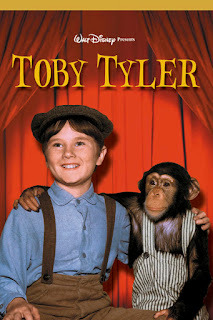 Disney Hipster article "Alice Davis's Work on Toby Tyler"
I knew this film was worth my time. Is this on NetFlix? It is on Amazon video on demand for $3. not sure on netflix.